There once was this great Mexican surfer named Jefe (pronounced “Heffay,” Spanish for “the boss”), who also happened to be really, really good at cooking up fish tacos and burgers. 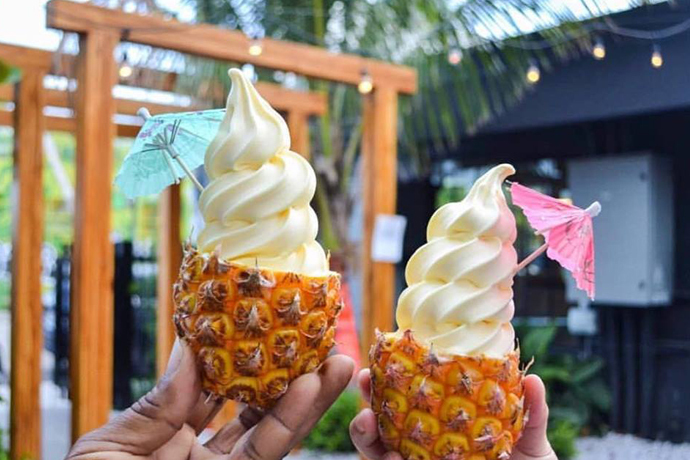 One day, a brave group of Miamians managed to obtain Jefe’s secret recipes, and they decided to make these recipes the focal point of a food truck. That food truck is called Jefe’s Original Fish Taco & Burgers, and it starts rolling out to a street corner near you this Friday. Once you find the yellowish-orangeish truck (use Twitter, Facebook or your nose for that), you’ll want to take a quick look at the menu. But make it a very quick look. 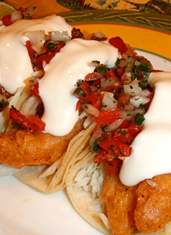 And then go ahead and ask for the Ensenada Style Fish Taco, a tasty tortilla sandwich modeled on the street-food delicacy of Jefe’s Baja California youth, stuffed with beer-battered fish, cabbage and pico de gallo. And since you’ll be curious to see what else Jefe had in his repertoire, you might also want to try something beefier, like the massive Double-Double, packed with two hamburger patties, two slices of deli-style American cheese, lettuce, tomato and grilled onions. And make sure they slather on some secret Boss Sauce.